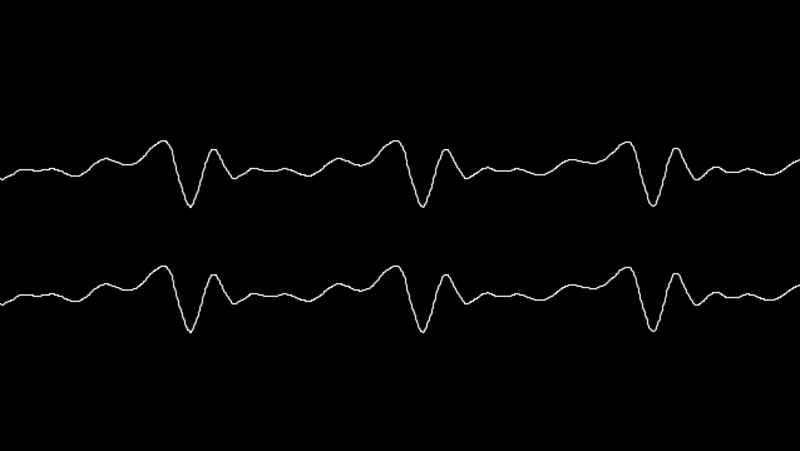 A computational reading of Deleuze and Guattari’s 1980 philosophy book, “A Thousand Plateaus: Capitalism and Schizophrenia”; created with Processing. 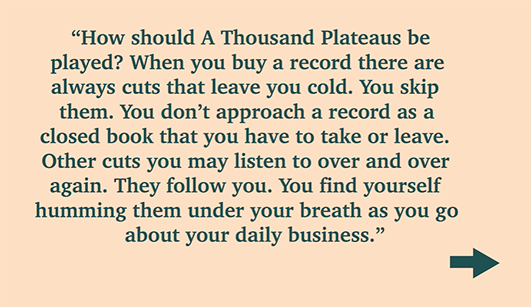 In “A Thousand Plateaus”, the authors offer a methodology of critique and thought as well as a book itself that is non-linear, instead inviting readers to move through the chapters, or plateaus, in any particular order. Using Processing and the Minim audio library, this project attempts to actualize this proposed anti-linear—or rhizomatic—structure for interacting with the text. Each time a user clicks into the circles, a passage from the introductory chapter is chosen at random, visualized, and read out loud, creating a genuinely anti-chronological and anti-linear experience of reading. The opening quotation is from Brian Massumi’s foreward to the book, similarly suggesting ways to interact with this unprecedented body of text. 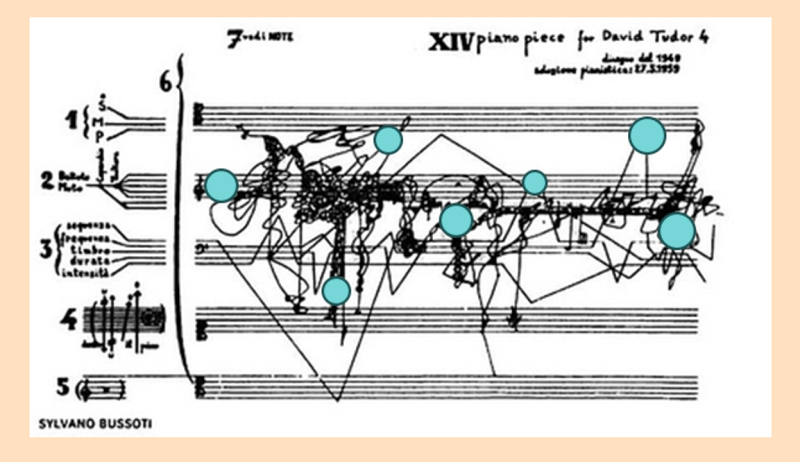 The illustration is Five Pieces for David Tudor by Sylvano Bussoti, and accompanies the book’s opening chapter.